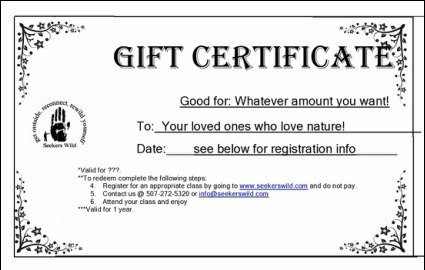 Get them online in denominations of $50, $100 or a Summer Camp ($225 value) for $200 here or by clicking the button below. *there are those pesky processing fees which will increase the cost a bit. We don't like them either but they help us keep things online and easy. Thanks for your understanding.